This weeks ear candy would have to be 2BiC. When I found out they’re coming back I had to give them justice after our attempted to sing their cover of “Let it Go.” If you haven’t seen it here you go. 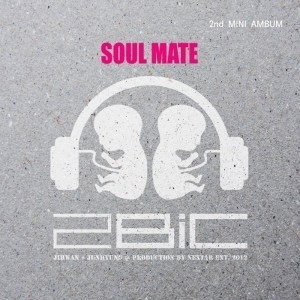 Well~ back to 2BiC’s mini album Soul Mate. It consist of six songs of the ballad and R&B genres with two instrumental versions of “요즘 바쁜가봐” and “원해요.” As our “Let it Go” reaction/cover video mentioned their voices harmonize so well, with such passion it just gives me goosebumps. For those who don’t know 2BiC stands for 2 Bi Continue, consist of Jihwan and Junhyung. Who are under and named by well renown composer Cho Young Soo. This album was particularly hard to choose which songs I liked the most because I do have types of genres that I’m attracted to and there are also genres that 2BiC are particularly strong at. So there are songs I like more but then there were songs that touched my soul more. “Your Love” and “요즘 바쁜가봐” are more of my style of being R&B and a bit of pop. It’s more up-beat and light-hearted and you’re still able to enjoy their full talents. But “Unforgettable” and “원해요” hits you straight in your heart and soul with their soulful, passionate and soothing voices and harmonies. For the sake of not giving myself a headache I will not say which songs are my favorite, I’ll just say there’s technically four official songs on this album thats all worth listening to. You will not regret that decision at all. They have a MV for “요즘 바쁜가봐,” for those who haven’t seen it. And the acoustic version is to die for.